Open an existing Replay project or create a new one. 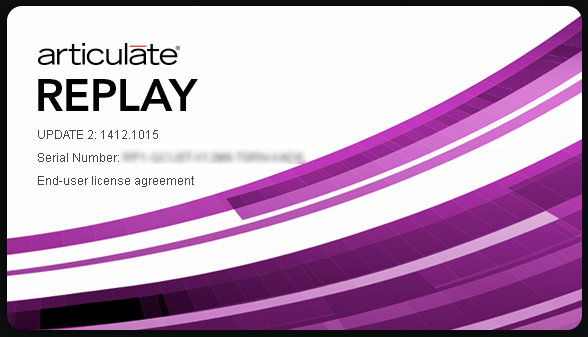 Go to the Help tab on the Replay ribbon and click About Articulate Replay. Find your version details on the screen that appears. For example, the following screen shows that I have Replay Update 2 Build 1412.1015.